Please welcome Ellie to the group. The ranks of Nar Shaddaa's Jedis keep growing! Please take a moment and join the Jedis detachment, and then sign up for our Base temple. Thanks for the warm welcome! 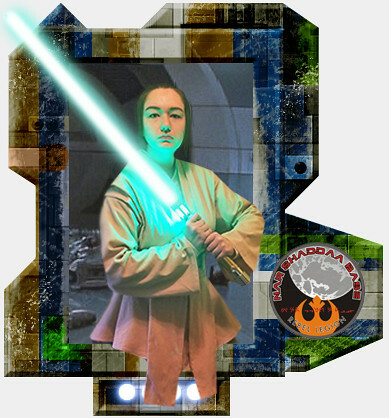 I'm excited to be a part of the Rebel Legion! I've come a long way from the old bathrobe and yardstick lightsaber I used to dress up like a Jedi when I was little. Congratulations and welcome!! Loved following your progress on Instagram, looking forward to trooping with you.